Bonjour a tous, cèst Supermarine! Today I have taken a break from all of my trophy pushing, Challenge, and Tourney decks, and I am giving you guys a super fun deck to use in 2v2! Now, it might seem stupid, but trust me, it’s not! It has a Golem, but it also has two trump cards (no pun intended): Mirror and Clone! So, without further delay, let’s get into this #Salty guide! This bad boy is the main tank of your deck. He splits into two Golemites upon death, and he deals decent damage on his own. Combined with Clone, however, he can be good for swarm clear in a couple of ways: The Cloned Golem will die immediately, and the resulting Golemites will also be Cloned. If the opponent used any sort of swarm to counter the Golem, they will retarget onto the Cloned Golem and die from the Death Damage! 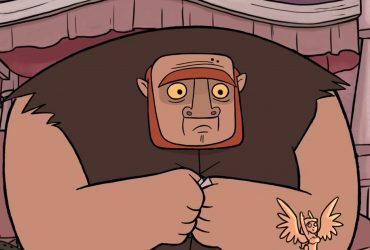 Just be very wary of low damage spells! Disclaimer: The same thing can be done with Ice Golem. She is another card that pairs well with Clone, and will always go behind Golem or Ice Golem. When Mirrored and Cloned, there will be four Night Witches that spawn two Bats each. Think about it: That’s eight Bats doing what you need them to do: Spell Bait, air defense, distracting and so much more! Also, think of the DPS from their battle staffs! That’s insane damage that can melt anything. And when they die, they spawn two Bats, meaning there’s eight more Bats to aid Golem or Ice Golem! This card is one of the tricks in your hat (excuse the bad metaphor). You can use it to Mirror any card you may need in the near future, may that be an extra Ice Golem in case there’s a Minion Horde coming down the lane, an extra Cannon that you need to lure tanks or Hog Riders, or a setup for a deadly Golem Night Witch Mirror Clone combo! There are many things I see people doing wrong with Clone. For starters, they don’t use it until their troop of choice has actually reached the Arena Tower. Instead, use it as a tool to help the troop get to the Tower. Trust me, this will get you damage more often that not, plus you’ll have two to four Night Witches fighting alongside you too! Even if they get cleared out by low damaging spells, you’ll still have the Bats spawned from death to help clear out swarms or anything of the ladder. For two Elixir, this bad boy can do it all: Slows, swarm clear, tank distractions, and even a mini tank that can go really well with Night Witch Mirror Clone! If Mirrored or Cloned, them it can take out a whole Minion Horde or Goblin Gang too! Hey, even if this is (in a way) a troll deck, that doesn’t mean we leave everything up to the co-mate in 2v2! Inferno Dragon is basically the moving version of the Inferno Tower that melts tanks to their demise! It is better than Inferno Tower here because it is less susceptible to ground attack from a Skarmy or Barbarians or anything of the like. Overall, he is a well-rounded, very viable option! Why Zap over Arrows, you ask? Great question! The main reason we have the Zap over Arrows here is because of one thing: Infernos. Again, we can’t leave everything up to the co-mate in 2v2! Chances are, they may not have a defensive building! So, that’s why we have one! Cannon is a very practical defensive building that works very well against the like of small and large tanks alike, and especially works well against Hog Riders! It’s better than the more popular Tombstone in the deck because it has a better synergy with the Ice Golem. Use the Ice Golem as your mini-tank, as you don’t want to overcommit on offense. Or, if the co-mate placed a tank troop like Giant, then place your Night Witch behind the tank your partner placed. Be sure to bring out the maximum value of your defensive units by pairing them with the Ice Golem or Mirrored Ice Golem to clear any swarms out. At this point, you will definitely want to be using your extremely deadly Night Witch Mirror Clone combo. It’s also even better if your partner has a low damage spell to clear swarms, as Minion Horde, Skarmy, and Goblin Gang are insanely popular counters to your Night Witches! Now, typically, this is where I would get into Matchups. However, since this was meant for 2v2, I will be providing some decks that work well with this one! I know you guys may need these decks if you wanna do this with your own clan! This LumberLoon deck possesses an insane synergy with the Golem and Clone in this deck. The Lumberjack can go behind the Golem for massive damage, and he synergizes well with Clone too! 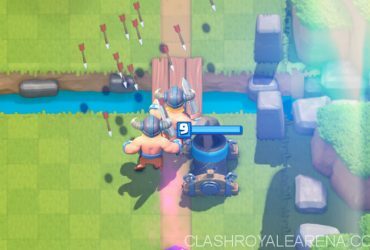 Oh, and also don’t forget that Executioner can go behind Golem for the best crowd control when paired with your partner’s Nado! Balloon also possesses good synergy with Golem, Night Witch, and Clone, as it can do massive damage with the Golem or Night Witch tanking for it, and the Death Damage from the Cloned Balloon does an even better job at swarm clear that the Golem! Hog Rocket is great for two things that this deck so desperately needs: Tank killer defense and swarm clear. 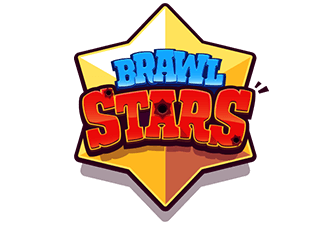 We have the Zap and the Princess to aid against the many swarms you may see, and against Musketeers or Executioners or even a charging-up Sparky, we have Rocket to kill them all instantly! 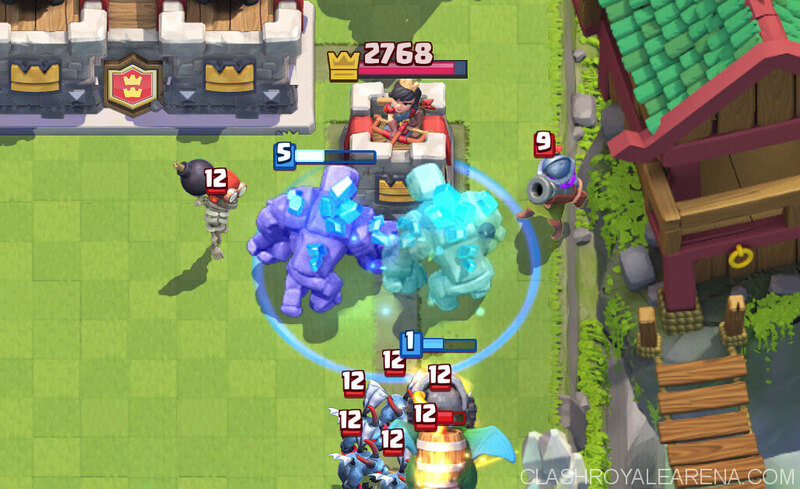 The between-deck synergy isn’t as strong as with the LumberLoon, but Hog does synergize really well with Golem, Ice Golem, and Night Witch on offense. Both decks also have Zap, meaning Infernos shouldn’t be as big a threat. Ok, this is #Nasty to pair with this deck for several reasons: The Giant and Miner can be used as cheaper tanks for Night Witch Mirror Clone, both types of Minions have an insane synergy with Clone, and Poison is crazy good on swarm clear! Like Hog Rocket, this deck also has Zap, allowing you to cripple Infernos with your waves of Minions and spawned Bats! We even have Musketeer to attack other glass cannons from safely behind the Golem! Like Hog Rocket, this is another deck where the synergies between the cards in both decks aren’t as strong, but all of them can help. Baby Dragon and Electro Wizard are commonly used in popular Golem’s Playground decks, so get your partner to add them in the push often. Also, Tornado is good to pair with the Baby Dragon, Bowler, and Poison for excellent crowd control. You also have Graveyard to use if Night Witch Mirror Clone suddenly goes south, or if you think it would be a better win condition. So that’s all for this crazy 2v2 deck! 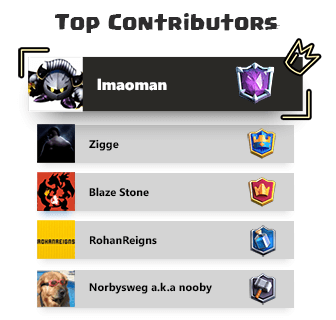 Leave a comment if you (or your clan) really enjoyed this deck, and hopefully your partner/clanmate/friend will be using one of the recommended decks!